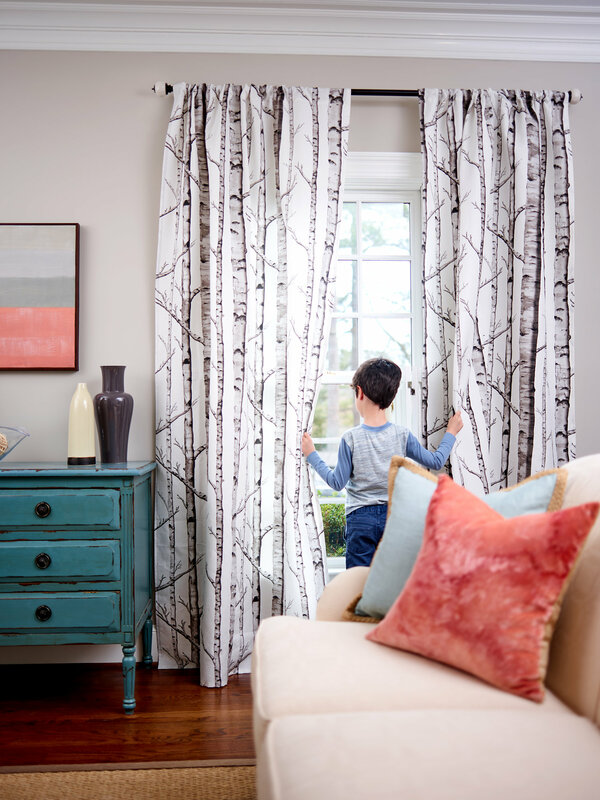 If you’re just starting out with sewing, one of the best projects to tackle first is curtains. With just a few straight seams, you’ll make a huge impact and learn a few key basics. Plus, it’s something you get to enjoy every day in your home, out in the open for guaranteed “oooo” and “you made those??? !” remarks. Grab your iron, sewing machine and scissors as former Spoonflower staffer Theresa takes you through each and every step to sewing the perfect curtains. Birch, please! Curtain fabric design by Willowlanetextiles.